Wouldn’t you love to meet such a stunning Thai woman? Have You Ever Thought About Being With A Thai Woman? Thai women have an incredibly beautiful exotic look. They have smooth, tan looking skin. Thai ladies have luxurious dark hair and gorgeous faces which make you catch your breath. But there is another physical feature of a Thai womon that separates them more than anything from Western women. As a Western man you probably wonder what drives men to consider looking outside their own country to find a potential mate. After all, you share a cultural background and similar expectations with a local partner. You share the same tastes in food and you can save a boat load of cash on plane tickets by staying home to find a life partner. There must something very alluring to move men out of their cultural comfort zone and into the arms of a Thai woman. Indeed there is! In fact, there are 27 reasons why Thai ladies make great life partners. Read On To Discover Reason #2 Why A Thai Woman Makes The Very Best Partner. The physical feature which distinguishes Thai women from the women in your country is slimness. My customers at DateThaiLadies.com tell me you can walk around any shopping mall in the west and you’ll be hard pressed to find a woman who isn’t overweight. They estimate that 9 of every 10 women they see in North American malls are overweight. Perhaps they are exaggerating a little bit, but studies certainly show a marked difference in the rates of obesity for Western countries and Thailand. 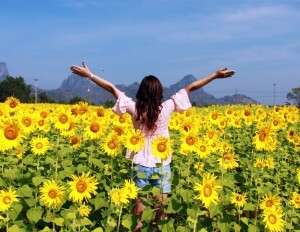 A Thai Woman is like a flower. She has many qualities that you can bring to blossom. How Slim Is A Thai Woman? According to the International Obesity Taskforce, 35.5% of the adult female population in the USA were considered Obese in 2010. England was 24.9%, Australia 22.2%. Thailand? Way down the list at 9.1%! Now overweight is not the same as obesity, so let’s be clear. “Overweight” is a subjective term which simply means a person has more fat on their frame than they should for optimal fitness. Add the simply overweight people to the obesity numbers and you’ll find that people’s perceptions are probably right. My husband, Mike, says the stats are completely opposite. After strolling the shopping malls, he thinks only 1 in every 10 Thai women would be considered overweight by western standards. That means 90 percent of the pool of eligible women in Thailand are going to be slim. If You’d Like A Slim Partner Best Look For A Thai Woman! Why Are Thai Ladies Slimmer Than Western Women? There are so many cultural norms working against western women; the preponderance of junk food and snacks everywhere, the busy lifestyle doesn’t lend itself well to finding daily exercise, and everyday “normal” meals are sold to the westerners as healthy but in fact contain all sorts of preservatives and empty calories. The deck is really stacked against a western women keeping a trim shape and that’s why it’s the exception, not the norm, in those countries. The Thai diet, known worldwide for it’s delicious flavor, is actually quite healthy. A Thai woman eats a vegetable based diet. They eat low amounts of red meat. And Thai culture isn’t a “rush rush” culture. There’s a slower pace of life in Thailand and that lends itself toward lower stress and closer family ties. All these factors equate to a culture of better health and SLIM GIRLS! Can You Make Your Thai Woman Feel Comfortable With Online Dating? Friends in North America have told me whenever they meet a woman on-line their biggest worry is she won’t be forthcoming about her true size. Inevitably when they move from online chat to a meeting the woman will be larger than her profile has previously suggested. How do these women play the men? They use pictures that are ten years old. They use only head shots or they use flattering angles to cover up their true size. Does it not occur to them they will have to eventually meet their online interest? Even if the guy doesn’t mind a bigger woman, he’ll still have a sense that he’s been deceived. Yes, it’s true some Thai girls will also use such tricks. But so many just don’t have to. When you look at a Thai woman’s profile she’s very likely to have full body shots sprinkled throughout the profile. Many will be of her in a group of friends smiling from ear to ear with happiness and the joy of fellowship. She doesn’t really think about her weight or obsess about it in the way western women do. Dont get get me wrong, she’s conscious of how she looks. Thai women are known for presenting themselves in a beautiful way and she’s aware that her size is part of that package. But she’s not obsessive about it in the same way as western women, probably because she doesn’t endure the same daily battle western women do with their weight. Fortunately those factors which Western women battle to maintain healthy weight haven’t taken a firm root in Thailand yet. At least not on the same scale (pun intended) as the Western countries. In Thailand it’s easy to meet thin women. They’re everywhere! 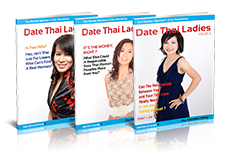 Would you like a slim Thai woman as a partner? Thailand is a great place to find her and I’d be happy to help you. At DateThaiLadies.com I meet all our platinum members personally so I can guarantee the women you meet are the same beautiful girls you see in thier profiles. 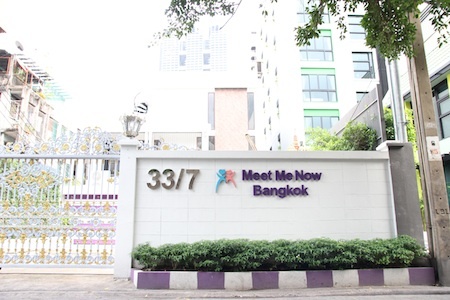 Give me a call, I’d love to hear from you and let me help you to find your Thai woman.